From day one InnoChem becomes an integrated part of your project team. The leadership and specialized knowledge provided by InnoChem focuses technical talent on project objectives keeping the initiative on course and on-budget regardless of overall duration or day-to-day operational diversions. Working directly with your marketing and technical personnel, InnoChem will help you identify new product and application opportunities, establish a technology development program and define an intellectual property protection strategy. 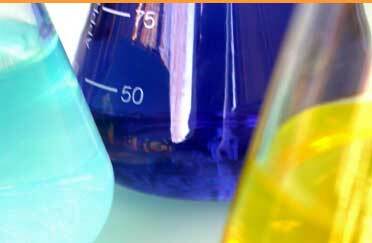 Additionally InnoChems extensive experience in bringing specialty chemicals to market yields further efficiencies in developing, testing and eventually securing patents for new product development. Scheduled status meetings, thorough reports and other communications keep management aware of all project activity. For more details, contact InnoChem.